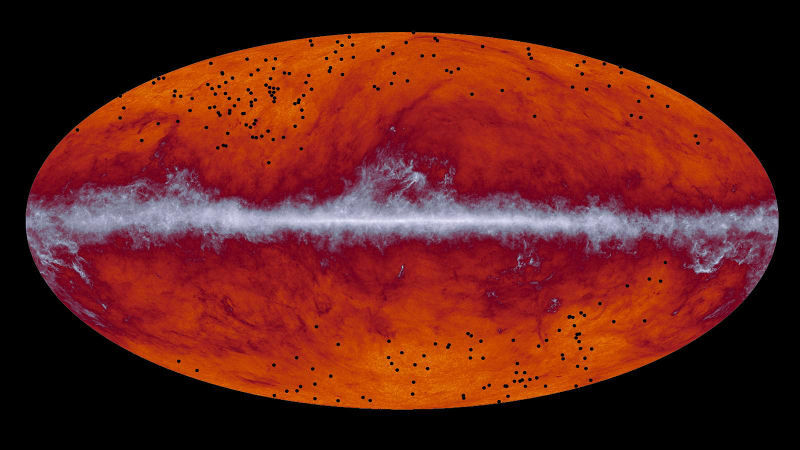 Scientists from the European Space Agency’s Planck and Herschel missions along with their colleagues at NASA have put together this map of the entire sky (universe). The black dots that are spread out in the universe are locations of potential galaxy clusters. These were first discovered by Planck and subsequently observed by the European Space Agency’s Herschel mission. The lighter, grey coloured band running through the middle of this picture corresponds to dust in our Milky Way galaxy. Isn’t the universe infinite in size or always expanding in size or of unknown size? 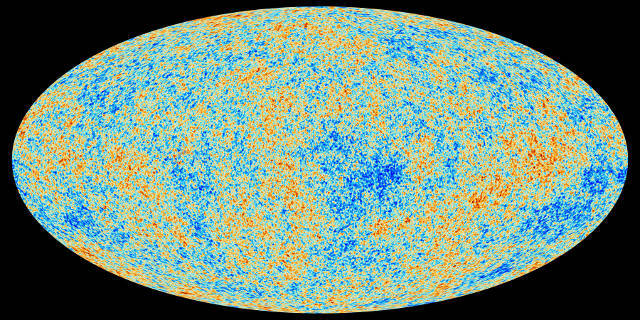 Can the universe be mapped? Apparently it can be mapped! The European Space Agency’s Planck mission was launched in 2009 and comprised of a satellite housing a large telescope, which collected the light from the Cosmic Microwave Background (CMB). Placed in space from its L2 (Lagrangian) position, Planck’s mission was to “look back in time”. Data from Planck created this map of the universe showing the oldest light in our universe, as detected with the greatest precision yet. By analyzing these light patterns, scientists and researchers hope to learn more about origins of the universe. One of the common questions we always ask when dealing with cosmic topics, is the distance of an object or phenomenon from Earth. This Google hangout by the Space Telescope Science Institute should help shed some light on this topic. This Hubble hangout was hosted by Tony Darnell of Space Telescope Science Institute with Dr. Mario Livio and winner of the 2011 Nobel Prize in Physics (for discovering that the universe is accelerating as it expands), Dr. Adam Riess. One of the concepts discussed was the “Hubble Concept” – which postulates how fast the distant galaxies of the universe are moving away from us.